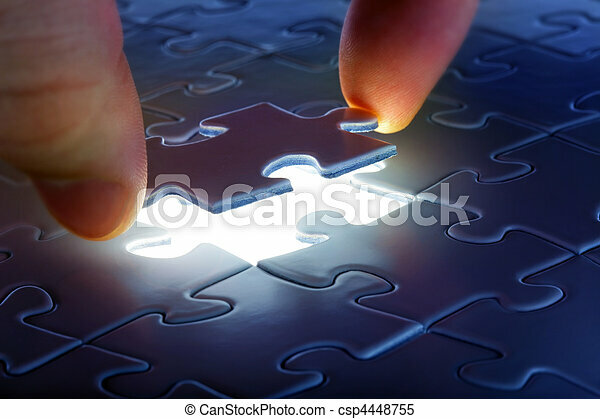 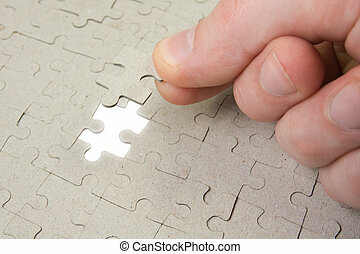 Puzzle piece coming down into it's place. 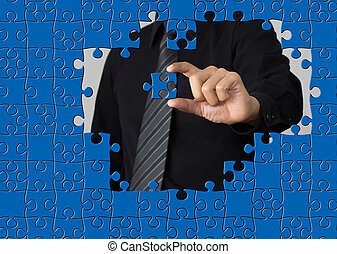 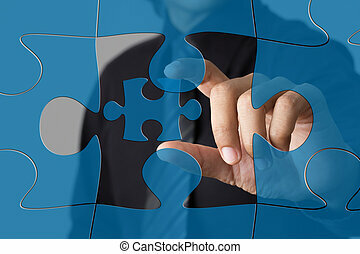 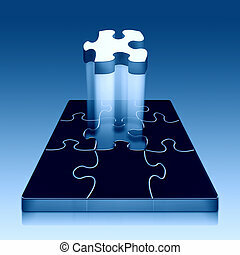 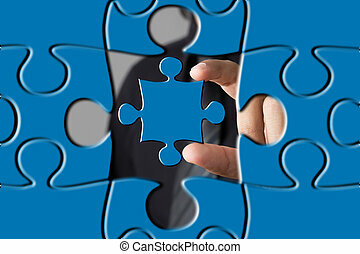 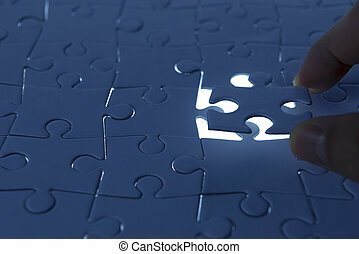 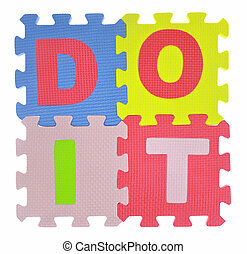 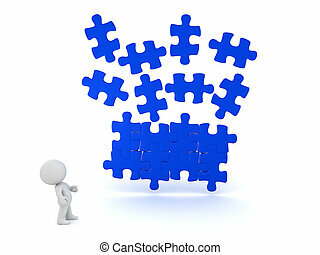 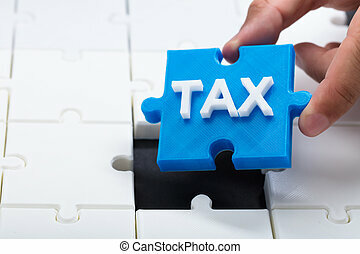 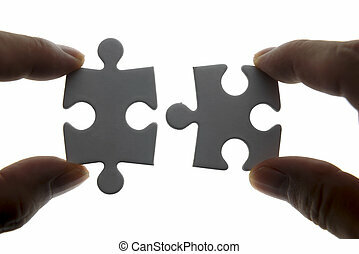 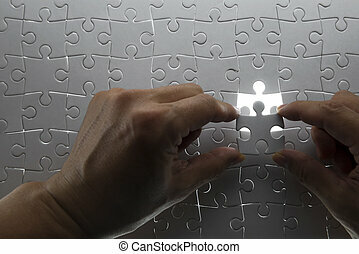 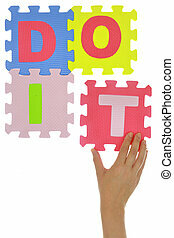 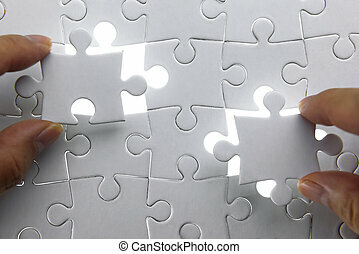 3D illustration of blue puzzle piece falling into place with character looking at them. 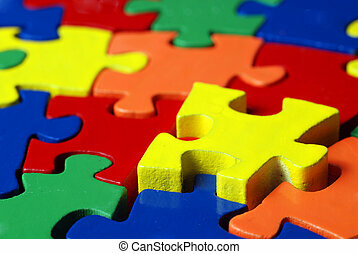 It's a dark blue. 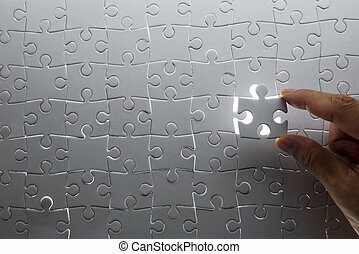 A metallic Blue Puzzle with the final piece being placed into it.